How do I get a US Patent? Described below is a very general overview of the steps involved in the U.S. Patent Application Process. Please contact us if you have questions about obtaining patent protection (both U.S. and foreign) which are more specific in nature. Medlen & Carroll, LLP does not endorse this book, but if you are looking for a helpful guide on how to obtain patent protection in the United States, you may want to check out "Patent It Yourself" by David Pressman. Medlen & Carroll, LLP will be happy to send you a copy of our firm brochure, which includes biographies of our team of attorneys and our fee schedule. Please contact us with your name and address and we will mail it to you. At Medlen & Carroll, LLP, we offer alternative billing options including (1) reasonable hourly rates; (2) project/flat-fee billing; and/or (3) not-to-exceed estimates on more individual projects (See Medlen & Carroll, LLP Fee Schedule). We will also conduct a Conflicts Check to see if representing you will conflict with the representation of any of our existing clients. If there are no conflicts and you decide to retain Medlen & Carroll, LLP, we will require that a retainer be placed in a trust account. This money will be used toward the total cost of the patent services we will provide. This step is optional (it is not required by the Patent Office). However, there are a number of reasons why conducting a patentability search is a good idea. The most important reason is to find out (before you spend a lot of time and money on the development and marketing of your product, not to mention the cost of filing and prosecuting a patent application) whether your invention is likely to qualify for a patent. Additionally, a patentability search will help uncover prior-art patents and literature on inventions similar to yours, which will provide you with potentially valuable commercial information, provide useful background information to assist in the preparation of your own patent application, and in some cases assist you in determining if your invention is likely to infringe any in-force U.S. patents. After your receive the results of your patentability search and opinion, you will be in a better position to decide whether or not to file a patent application. There are three types of patents -- (1) Utility Patents protect anything that can be made by humans that functions in a unique manner to produce a useful result; (2) Design Patents protect the visible shape or design of an object (i.e., ornamental features); and, (3) Plant Patents which provide protection for certain types of plants. For purposes of this estimate, we will assume that you are interested in filing a utility patent, which is the most common type. 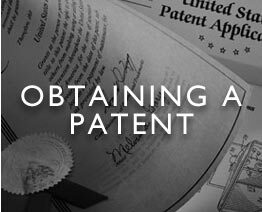 Utility Patent applications typically include a specification and claims, as well as an abstract, drawings and the inventor's declaration. If you qualify as a "small entity" -- an independent inventor who hasn't assigned or licensed their invention and is under no obligation to assign or license the invention to a large, for- profit business (over 500 employees); OR a small business (under 500 employees); OR a nonprofit organization -- you receive a 50% discount on many of the filing fees charged by the U.S. Patent & Trademark Office (USPTO) (See USPTO Fee Schedule). This is a document listing all references cited in your patent application and any other prior art or any circumstances known to you that may potentially affect the novelty or obviousness of your invention. This document can be filed with your Patent Application but is most often submitted within three months of the application's filing date. There is no Patent Office Filing Fee associated with this document if it is filed within the three-month period or before receipt of the First Office Action (described in further detail in Step 7). Otherwise, the "late fee" for filing an IDS will apply. When your application is received by the U.S. Patent and Trademark Office (USPTO), their clerical personnel will deposit your check, put all of your papers in a folder, and assign a filing date and serial number to your application. The postcard is stamped with this information and returned. If you file your application without a signed Declaration, you will then be sent a Notice to File Missing Parts. "Missing Parts" is a reference to signed formal documents, including the Declaration of Inventor(s), Assignment (if any), Small Entity Declaration (if any), and Power of Attorney. A response to the Notice to File Missing Parts is due one month after the mailing date of the Notice (otherwise, a late fee will be charged by the Patent Office (See USPTO Fee Schedule). Sometime during this stage of the patent process, the USPTO will assign your application to a Patent Examiner for review. If your patent application includes nucleotide or amino acid sequence information, you are required to submit a "Sequence Listing." A Sequence Listing discloses relevant information about each sequence referred to and/or being claimed in your patent application and must be presented in paper form as well as on a computer-readable diskette. It is prepared using a software program provided by the USPTO known as "Patentin." The Sequence Listing can be submitted contemporaneously with the Patent Application, but in some instances will not be provided until after the "Notice to Comply with Sequence Rules" is received. This Notice is typically included as a part of the Notice to File Missing Parts (See Step 6 above). About six months to two years after the filing date of your application, you will receive a communication from your Patent Examiner known as an "Office Action." In this document, the Examiner describes what is wrong with your application and why it cannot be allowed (rarely is an application allowed in the first Office Action). The Examiner may also object to one or more aspects of your specification. Typically, Examiners reject some or all of your claims because of imprecise language or reject some or all of your claims because of unpatentability over the prior art. To overcome these objections and/or rejections, an "Office Action Response/Amendment" will be prepared. The Office Action Response focuses on claim changes and arguments to convince the Examiner that the invention is patentable. The Amendment will make changes; however, once an application has been filed, substantive changes to the specification and drawings are prohibited. Thus changes to the specification and drawings are typically made to correct typographical errors. The time allowed for preparation and filing of a Response/Amendment is 6 months after the date of the Office Action. Late Fees will be charged by the Patent Office for all Responses/Amendments filed after the first 3-month deadline (See USPTO Fee Schedule). In some cases, you will receive a Second Office Action by your Examiner (about 2 to 6 months after you file your first amendment) before the application is finally Allowed (see Step 8a) or Rejected (see Step 8b). Some findings by the Examiner in the Office Action(s) may prompt you to file a "Divisional Application" or "Continuation Application" (See Extension Applications below). If the Examiner is satisfied with the merits of your application and you have submitted everything required by the Patent Office, you will be sent a Notice of Allowance and Issue Fee Due, indicating that all of your claims are allowed. The Patent Office will make a request at this time that you pay an "issue fee" (See USPTO Fee Schedule) and submit "formal drawings" within 3 months if formal drawings have not already been submitted. Several months after the issue fee is paid, your patent will issue and you will receive a formal copy. If your application receives a final rejection by the Examiner, you will have the option to (1) File an Amendment After Final Rejection (although these are discretionary - the Examiner is not required to enter them into the record); (2) Appeal; (3) File a Continuation Application; and/or (4) Abandon Your Application. After a final rejection, you may submit an "Amendment After Final Rejection" narrowing your claims or submitting other claims, provided you raise no new issues. If your Examiner agrees that the amendment narrows or changes the claims sufficiently to place the case in condition for allowance, he/she will authorize its entry and allow the case (See Step 8a above). Otherwise, your Examiner will send you an "Advisory Action" reiterating the reasons for rejection (and you will then have the option to appeal). Even if your Examiner will not enter the amendment because it raises new issues, the Advisory Action will state whether the amendment will be entered for purposes of appeal. If you don't see any further way to improve the claims, and if you believe the examiner's position is wrong, you can file an appeal brief with the BAPI (Board of Appeals and Patent Interferences). Medlen & Carroll, LLP has found that appeals are sometimes necessary to initiate a more serious dialogue with the Examiner. To effectively do this with an appeal, however, one needs to have narrowed the issues. Please contact us if you are considering an appeal. If the Board upholds your appeal, your application will move to allowance (See Step 8a above). If the Board upholds the Examiner's rejection and you still believe your invention is patentable, you can take a further appeal within 60 days of the date of the BAPI's decision to the Court of Appeals for the Federal Circuit (CAFC). If the CAFC upholds the USPTO's decision, you can then request the U.S. Supreme Court to hear your case (although the grant of this is rare). If you want to continue the examination of your patent application, you can file a Continuation Application (with the option of filing it as a Continued Prosecution Application) (see Extension Applications below). Filing a Continuation Application then involves writing new claims, paying a new filing fee, and sending documents identifying the application as a Continuation. A continuation application receives the filing date of your original patent application for purposes of overcoming prior art, but receives its own serial number and filing date for USPTO administrative purposes (unless filed as a Continued Prosecution Application). This option starts the whole patent process over again. If all claims of your application are rejected in the final Office Action and you agree with your Examiner that there is nothing patentable in your application, or if you simply do not wish to further pursue patent protection for your invention, you can allow the application to become abandoned (your application will go abandoned automatically if you do not file a timely reply by way of one of the options listed above to the Final Office Action). Keep in mind that once an application has gone abandoned, it can be difficult to re-file the application. In some cases, however, if you allow the application to go abandoned you will be able to resurrect the application. In any event, we invite you to contact us before making the drastic decision to abandon. All of these applications must be filed before issuance or abandonment of the parent application. If you want to continue the Examination of your application or a chance to try a new and different set of claims after a final Office Action rejecting your application, you may file a continuation application. A Continuation is an additional application for the same invention claimed in your original patent application (typically containing the exact same specification as the original application but with new claims) and filed before your original application issues or becomes abandoned. A continuation application receives the filing date of your original patent application for purposes of overcoming prior art and for patent term determination, but receives its own serial number and filing date for USPTO administrative purposes (unless filed as a Continued Prosecution Application). You may be prompted by an Examiner in an Office Action to file a Divisional Patent Application if it's found that there is more than one distinct invention claimed in your original patent application. This type of finding is referred to as a "restriction requirement" because you are restricted to claiming only one invention per patent application. If you receive a restriction requirement in which the Examiner indicates that there are claims directed toward 2 inventions, you must "elect" the claims you wish to pursue in this application and cancel the remaining claims. In the Divisional Application you pursue claims that were directed to the 2nd invention and cancelled. A divisional application receives the filing date of your original application for purposes of overcoming prior art and for patent term determination, but receives its own serial number and filing date for USPTO administrative purposes. If you've improved your basic invention in some material way while your original patent application is still pending and you want to obtain specific claims to the improvement, you may file a continuation-in-part (CIP) application. A CIP application receives the filing date of your original application for purposes of overcoming prior art related to material disclosed in your original application, but receives its own serial number and filing date for USPTO administrative purposes. Since GATT was enacted, Medlen & Carroll, LLP cautions that the benefit of designating an application a "CIP" is of greatly diminished value. If you've received an original patent, but you want to revise the claims of the patent or correct significant errors in the specification for some valid reason, you should file a reissue application. A reissue patent takes the place of your original patent. There are specific rules that apply to these applications and Medlen & Carroll, LLP recommends detailed discussion before making such a move. You will need to discuss this option with your attorney, if you are interested in obtaining a Reissue Patent. *A Continuation Application may be filed as a Continued Prosecution Application (CPA), which option cuts down on paper work and ensures faster turnaround time in the receipt of your First Office Action. This option, however, also automatically ABANDONS your original patent application as of the filing date of the CPA.